White Christmas 2016 UK odds - Manchester, Glasgow, Cork and London set for snow? Bing Crosby was dreaming of a White Christmas, but many residents in the United Kingdom won’t be this year as the country once again waits to see if we’ll wake up to snowfall on December 25th. We haven’t officially had a white Christmas since 2009, but Paddy Power are offering probabilities on select UK cities and their chances of breaking the drought, and What Are The Odds has the latest on just whether that weather looks likely. It’s no surprise the UK’s northernmost cities are priced at lower odds to see significant snowfall, with Manchester and Glasgow both listed at 7/2 (4.50), as are London and Cork. The latter two don’t seem quite as likely, however, given England’s capital has just a 6% chance of officially lying snow at 9 a.m. on Christmas day - the official criteria by which a white Christmas is measured—while Ireland’s wet climate means such heavy snowfall in December is always improbable. Dublin is other Irish city with odds being offered on a white Christmas, level at 4/1 (5.00) alongside Birmingham, which hasn’t officially seen such an event since 1981 and may not be likely to end that 35-year drought anytime soon. 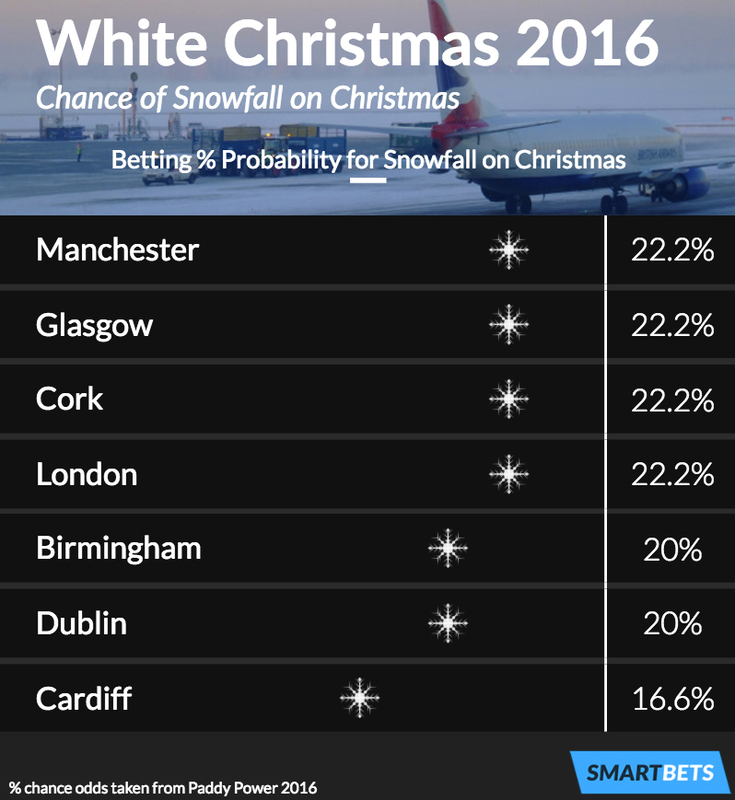 The same goes for western-most betting option Cardiff, which may struggle to catch the snowfall needed for a white Christmas considering the rest of the UK looks likely to soak up any winds originating from the east before they reach the Welsh capital. 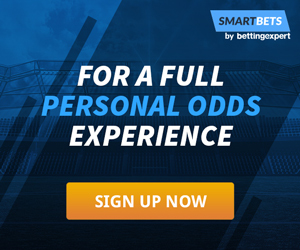 Cardiff is priced at 5/1 (6.00), the most lucrative option available, although punters may be better off saving their stake considering the city’s last official white Christmas occurred in 2010, when there was widespread snowfall across the whole of the United Kingdom. Editor’s Note: Winning bets require that lying snow be recorded at the main international airport of the city in question at 9 a.m. on December 25th, per Paddy Power.